Good morning, this is Don Carpenter with the Alpine Ascents Kilimanjaro climb with Perry Dollar, and Melissa, and Jack. We’re here on our first morning at Machame Camp. 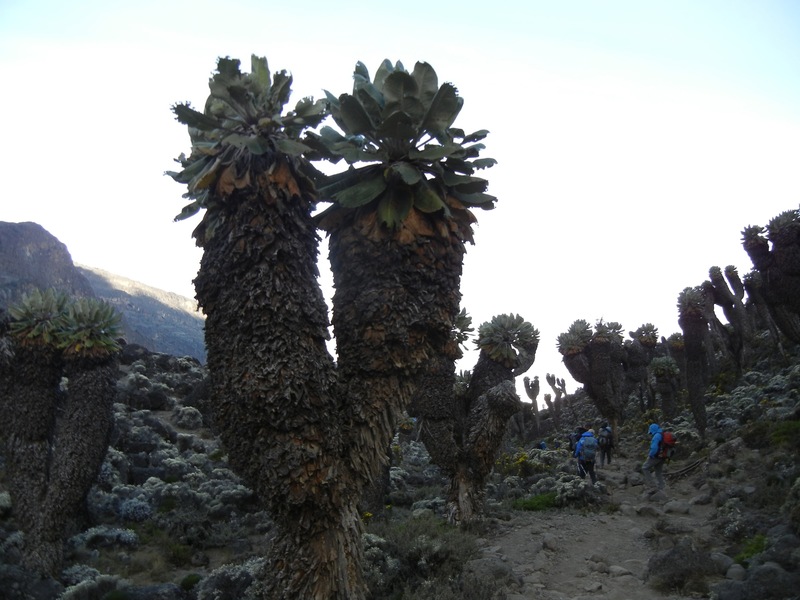 We left Arusha yesterday, had a beautiful drive to the trailhead, met our group and our guides, the whole crew, and had a nice walk up to 3000 meters. We are camped at 3000 meters, had a wonderful dinner and everyone slept well. It’s our first morning in the field and we’re waking up here in the clouds this morning, but we expect to hike up out of the clouds on our way to Shira Camp. So everyone’s excited and doing well. We’re just getting up and having hot drinks; going to have some breakfast and get out of camp shortly. We will call tonight from Shira Camp and everyone’s doing well. We’ll talk to you later, bye.